(I said 'bling.' So what? It rhymed. I don't care that the word 'bling' isn't even a thing anymore. Anyway...) I remember the delight I felt when I was a little girl, and I was left alone to play with my Grandmommy's costume jewelry. The sparkle of those baubles used to ignite my imagination. 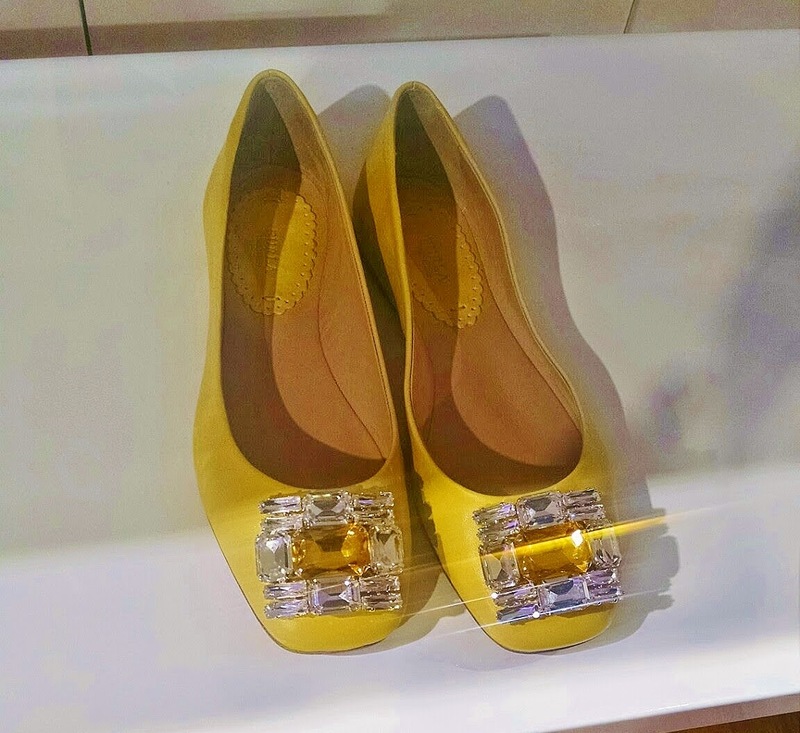 I felt a bit of the same spark when I saw the jeweled shoes in Furla's Spring 2015 shoe collection. I immediately envisioned the maxi and mid skirts I could wear with the shoes. One pair will work with a safari look, while another is the perfect complement to... well... almost anything! Got a wedding to attend in spring 2015? If it's a daytime wedding, this shoe will look adorable with gingham or florals. Going to brunch? Yup, this shoe works with jeans. Dinner and a show? This shoe and a tea-length full skirt are the way to go. 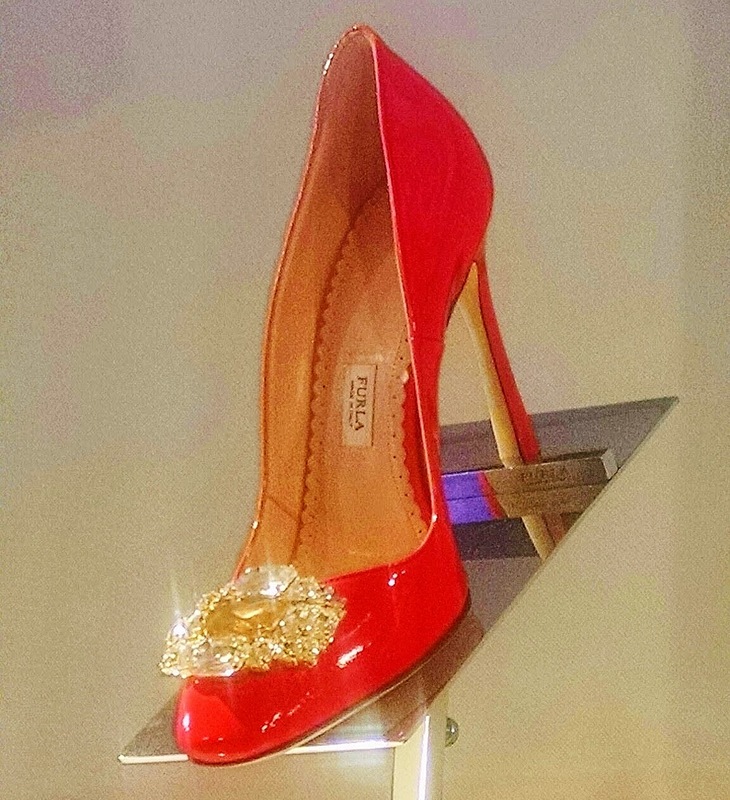 The intense tangerine color, paired with citrine and clear stones make this pump festive and fresh. The almond toe keeps it from looking solely formal. 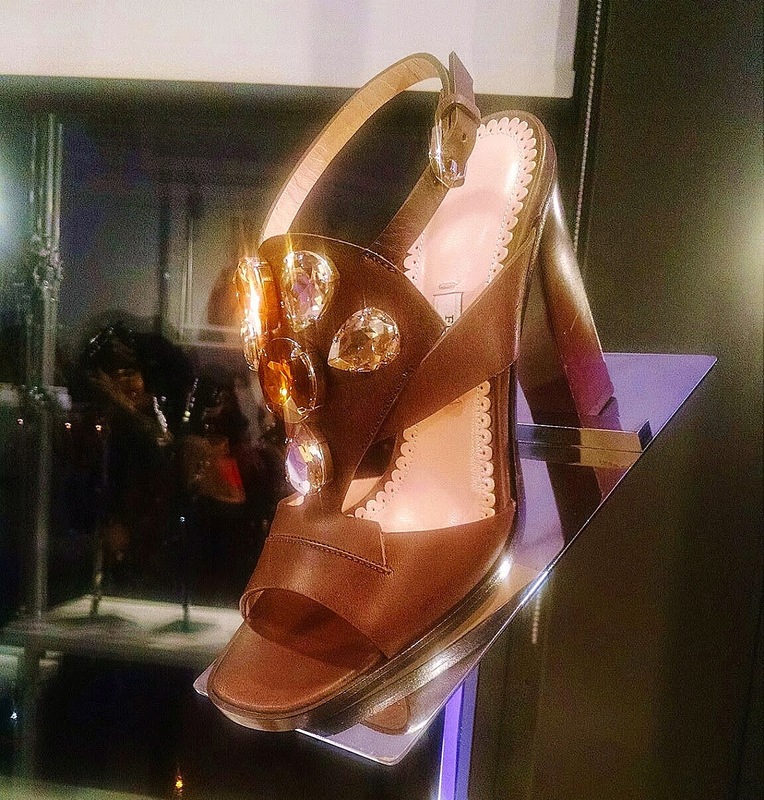 If day-to-night is your need, this brown sandal will do the trick. The chunkier heel gives it an easygoing look, but the tonal jewels dress it up. It's basically a strong contender for the go-to position in your closet. The golden hue of this skimmer, coupled with the dazzling jeweled accent may give one the feeling of walking on sunshine. The fact that it's also the same color as the ubiquitous smiley face adds its happy factor. 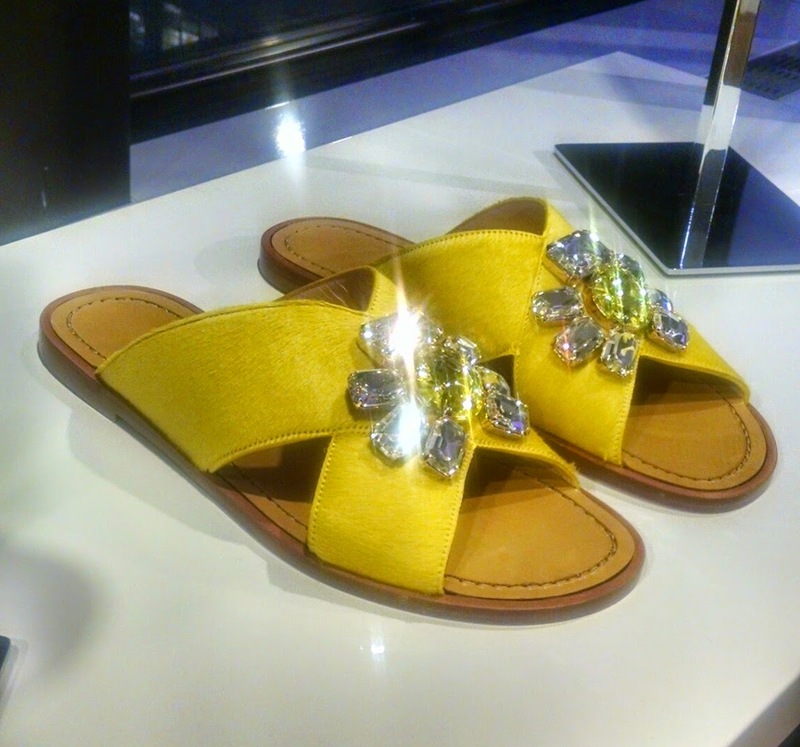 With jeans or ankle pants, for work or weekend, this flat is as versatile as it is glamorous. 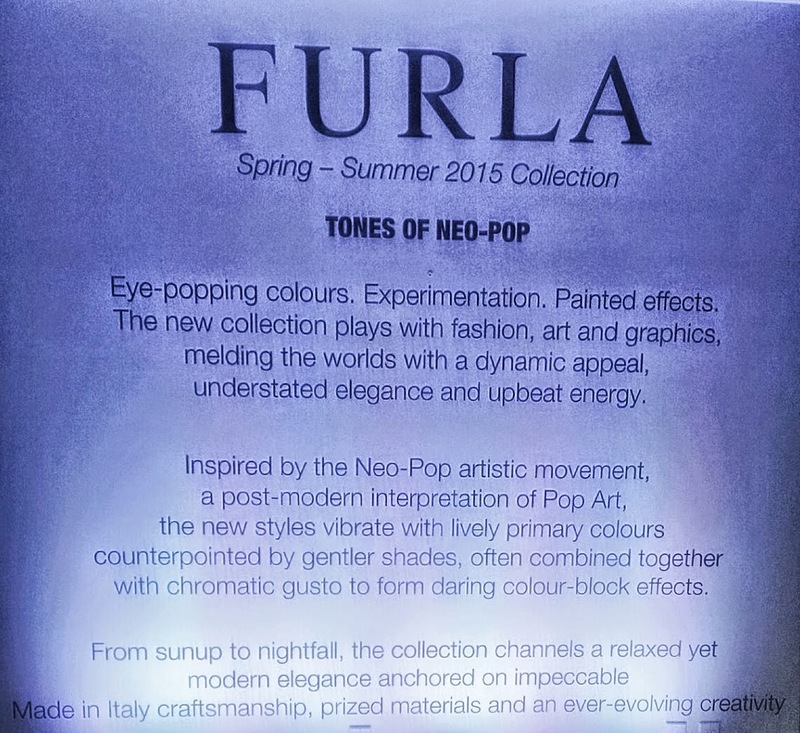 This take on the slide trend is the epitome of the understated elegance mentioned in Furla's collection notes. Calf-hair straps and chunky jewel accents make these a great partner for flowing maxi skirts and dresses.